This week's No. 1 team in college hockey is the undefeated Michigan Tech Huskies. After being unranked in the preseason and first three polls conducted by USCHO.com, Tech climbed from 17 to nine to five to one. MTU was last ranked No. 1 in 1976. "I'm happy for our players are who are starting to gain recognition for their hard work," coach Mel Pearson said. "Like I've told them, if you're not number one you are always working towards that. Now we need to prove why we are deserving of this ranking." The Huskies (10-0, 8-0 WCHA) are the only remaining undefeated Division I college hockey team and are off to the program's best start in the 94th season. They host No. 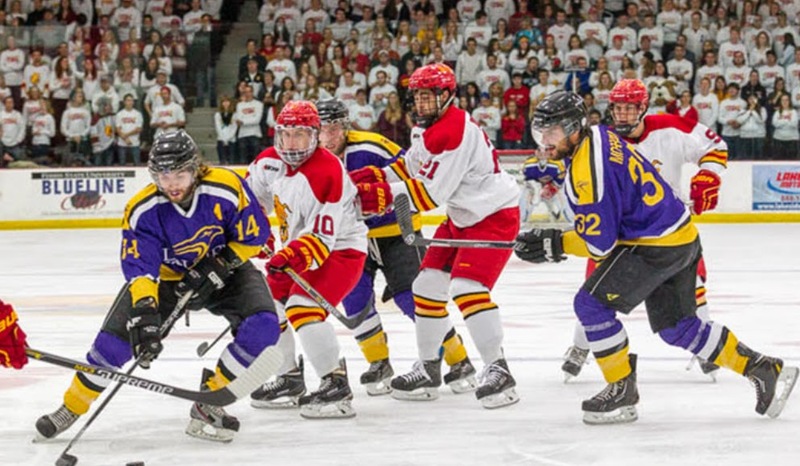 9-ranked Minnesota State at the John MacInnes Student Ice Arena this weekend. The puck drops at 7:07 p.m. both nights. "It's still early in the year and we have a lot of hockey to play," added Pearson. "We have to continue to get better every day, but I think it's proof that we are doing the right things." 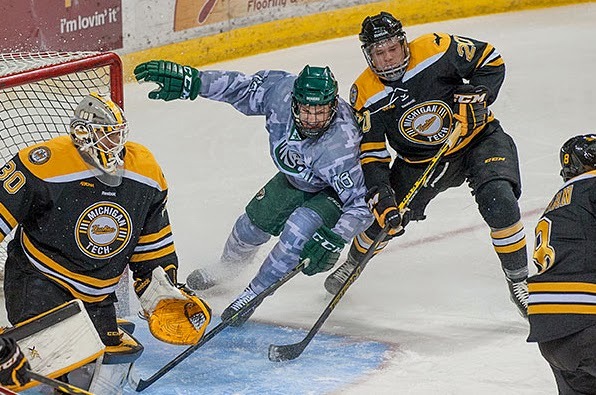 The Michigan Tech Huskies are #1 for the first time in their storied history after a two-game sweep at Bemidji State. Ferris State got a pair of easy wins in Big Rapids as they racked up 14 goals in a demolition of Alaska-Anchorage. Lake Superior went south and earned a split at Alabama-Huntsville. It's back to the win column for the Michigan Wolverines after a home sweep of American International in Ann Arbor. Michigan State played a single game in East Lansing and were narrowly clipped by the BC Eagles. And finally, Western Michigan made it interesting against St. Cloud State in Kalamazoo with a close loss and shootout win. In the weekly USCHO.com Division I Men's Poll released Monday, Ferris State, Michigan and Michigan Tech were all ranked among the nation's top 20. Ferris State fell from No. 8 to No. 14, Michigan dropped one place to No. 15 and MTU entered the rankings at No. 17. 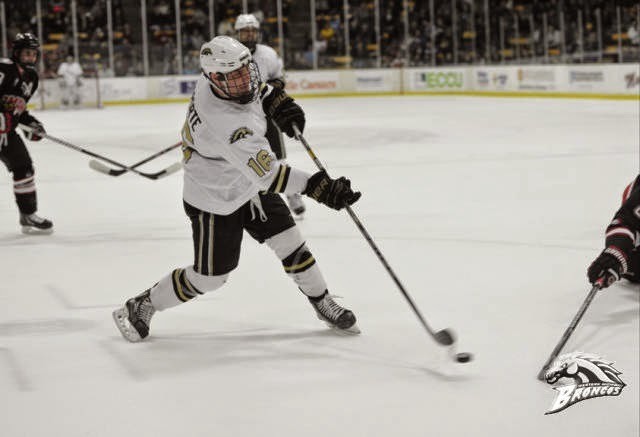 Western Michigan junior Nolan LaPorte tallied three points to lead the Broncos to a 4-2 win over Alaska at Lawson Ice Arena in front of a sold-out crowd of 4,063 Saturday night (GS Photo). Michigan Tech swept WCHA rival Ferris State in Big Rapids. Michigan went on the road and beat Massachusetts-Lowell, before losing to Boston University. Northern Michigan took both contests on the road against still-winless Lake Superior State. Michigan State also went East, losing to both Boston University and UMass Lowell. Western Michigan played at home and split with Alaska. Both Ferris State and Michigan are ranked in this week's USCHO.com Division I Men's Poll. The Bulldogs fall four spots to sit eighth this week, while the Wolverines also tumble four places to No. 14. Ferris State split with St. Lawrence last week, while Michigan split with New Hampshire. The Michigan State Spartans began the new season with a 5-3 win over UMass in East Lansing. #10 Michigan rallied at Yost for a two-game split with visiting New Hampshire. The Northern Michigan Wildcats opened their season with a bang as they swept the #18 Wisconsin Badgers at the Resch Center in Green Bay. 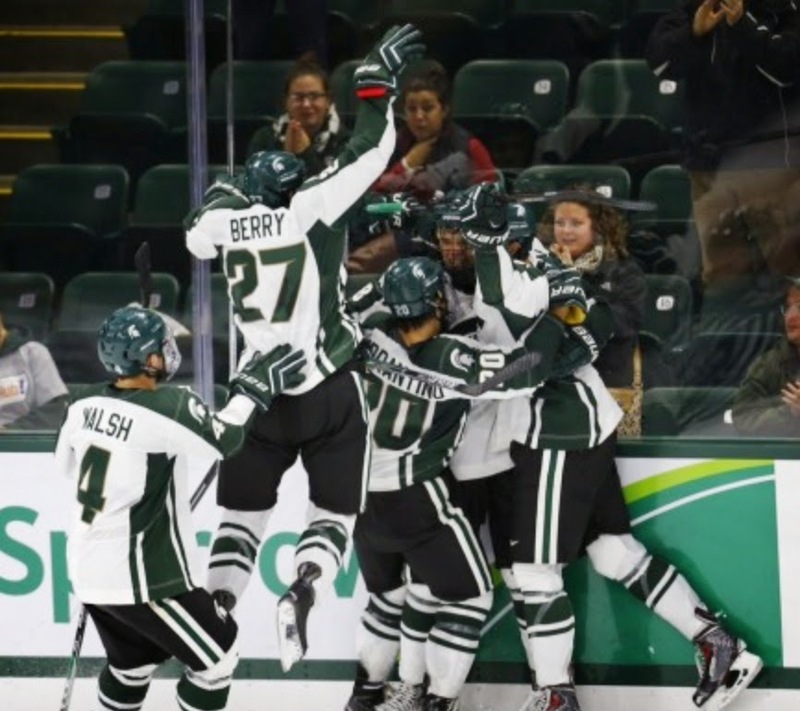 Michigan State began the campaign with a split at Munn against Massachusetts. 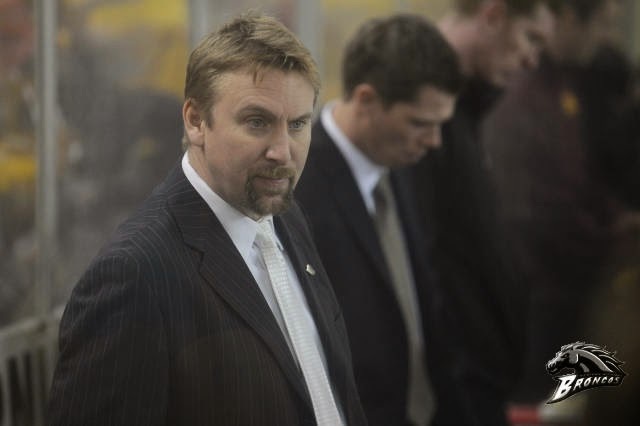 There was no joy at the Lawson Arena as the WMU Broncos were swept aside by Nebraska-Omaha. #4 Ferris State went on the road and split with St. Lawrence in Canton, NY. Lake Superior is still searching for their first win of the year as they hammered by Notre Dame in South Bend. #9 Michigan shoots past Wilfrid Laurier, 5-2, in the Wolverine's final exhibition game in Ann Arbor. Western Michigan and Canisius split a pair at the First Niagara Center. Lake Superior falls to 0-4 after getting swept on the road at Robert Morris. The eighth ranked Bulldogs hammer Wilfrid Laurier, 4-1, in their final tune-up game at Ewigleben. The Michigan Wolverines and Ferris State Bulldogs come into the 2015-2015 season ranked 8th and 9th in the country, according to the USCHO.com Division I Men's hockey poll.